Last week, the Icelandic Minister for Foreign Affairs, Mr. Össur Skarphéðinsson, presented the most extensive development project Iceland has participated in. This is an international project in collaboration with the World Bank. The project is part of the World Bank Global Geothermal Development Plan, estimated to amount to USD 500 million (ISK 64 billion, EUR 393 million). The project targets thirteen countries of the Great Rift Valley in East Africa. They include Burundi, Djibouti, Eritrea, Ethiopia, Kenya, Malawi, Mozambique, Rwanda, Somalia, South-Sudan, Tanzania, Uganda, and Zambia. 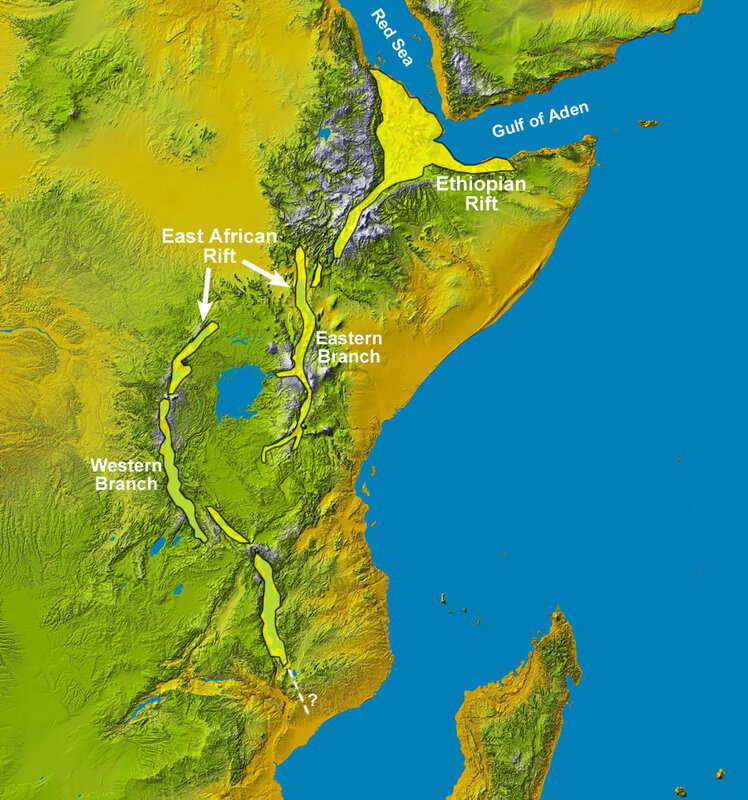 The Great Rift Valley is known for widespread geothermal activity. However, little of this energy has been harnessed, due to limited access to both capital and know-how. 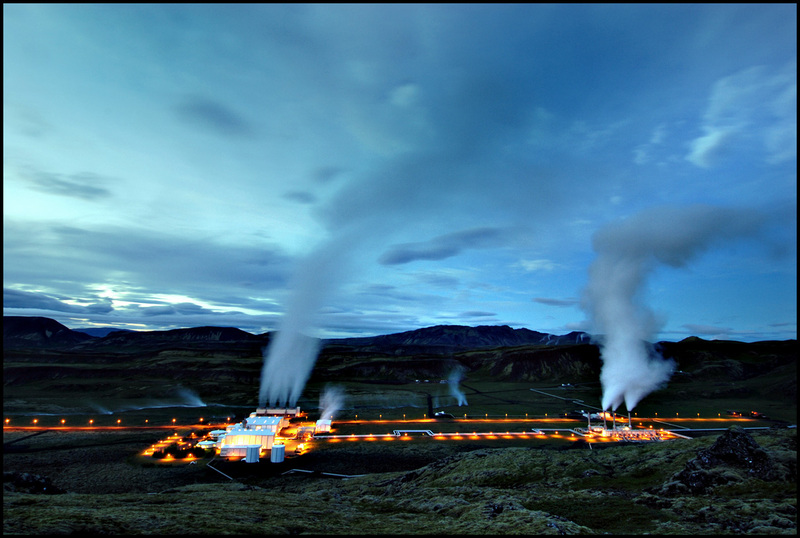 This collaboration between Iceland and the World Bank is the largest initiative so far for promoting the utilization of geothermal energy in developing countries. The World Bank will provide finance for geothermal feasibility assessments and test drilling. The Nordic Development Fund (NDF) and the Government of Iceland will also provide part of the funding. The Icelandic International Development Agency, ICEIDA, will be the lead agency for this component. Iceland will assist the respective states with geotechnical investigations of promising sites, detailed geophysical, seismic, environment and chemical tests including test drilling and assessments. The World Bank will collaborate with Iceland, other partners and funding agencies to establish a flexible financing facility that can in part share the costs and risks of specific drilling programs in the target countries. 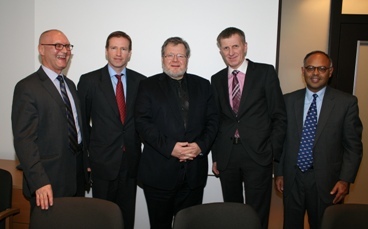 The agreement on the project was signed in Reykjavik in last week. In addition to the Icelandic Minister for Foreign Affairs, it was signed by Mr. Pasi Hellman, Managing Director of the Nordic Development Fund, Mr. Engilbert Guðmundsson, Director General of Iceland‘s International Development Agency, and Mr. Rohit Khanna, Program Manager of the Energy Sector Management Assistance Program (who represented the World Bank). 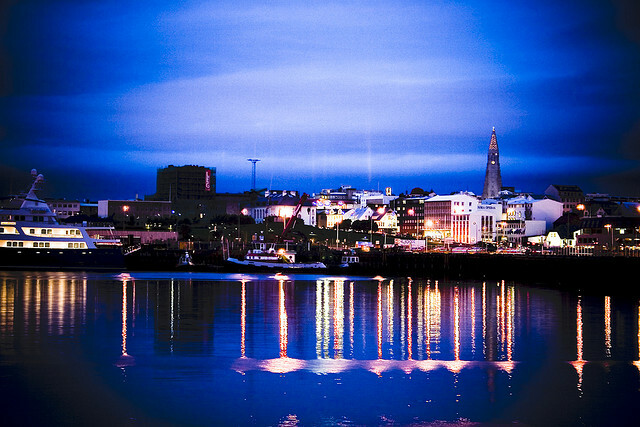 The management and consulting firm McKinsey & Company recently published an independent report on the current state of the Icelandic economy and its future priorities. The title of the report is “Charting a Growth Path for Iceland”. McKinsey argues that the isolated market is “reflected in the design of hydro plants where investments have been optimized accordingly, i.e. with relatively small reservoirs allowing surplus water to bypass generation as there are no alternative markets available.” Hence, nearly 15 per cent of the energy available for electricity production is wasted each year (on average). 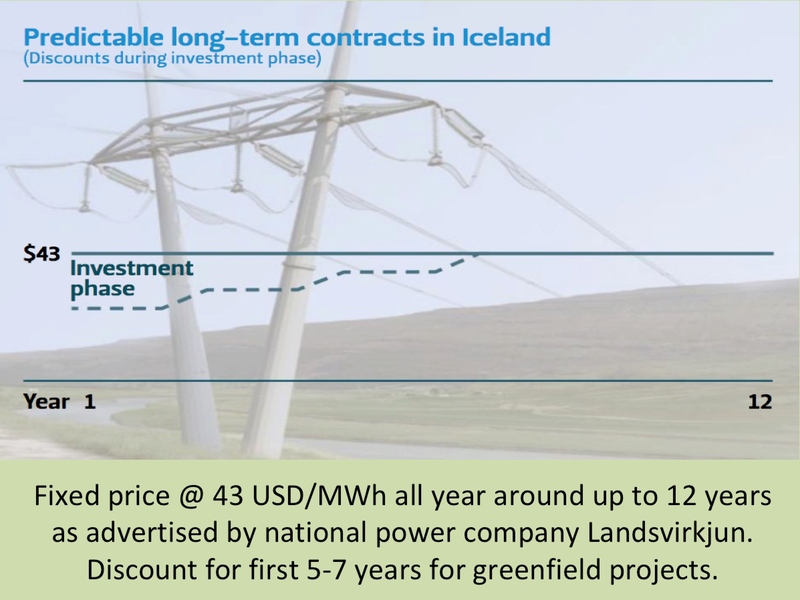 What makes the business model of an interconnector especially interesting, is the fact that so far Iceland has only harnessed 20-25 percent of its theoretically available hydro and geothermal energy. With environmental considerations and the economic feasibility of the investments taken into account, new projects could probably almost double current production (from 17 TWh to approximately 34 TWh annually). 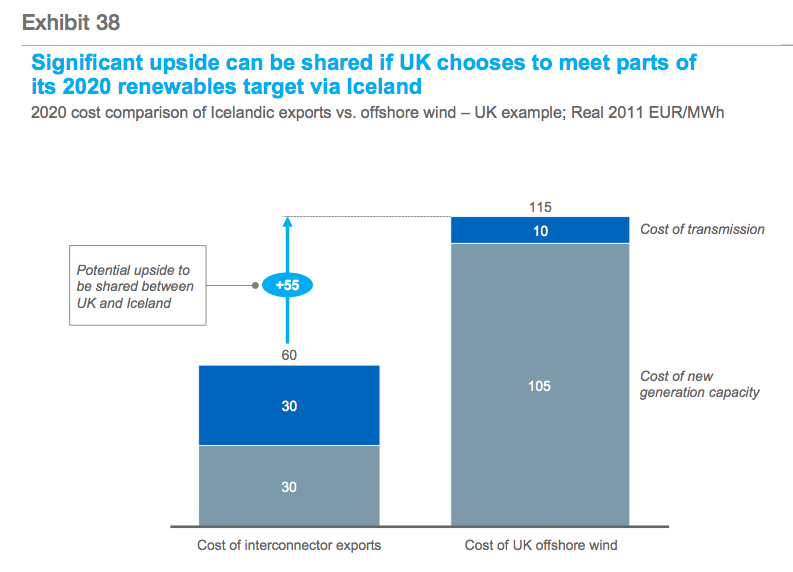 This is a substantially less costly renewable energy option than for example wind power in the United Kingdom. The report concludes with strong future prospects. 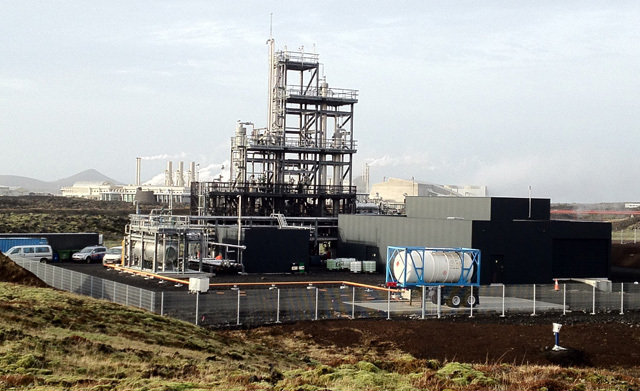 McKinsey is of the opinion that “Iceland is in the privileged position of having multiple growth levers that can greatly improve average production in the economy. The country therefore has good reason to be optimistic, provided policymakers utilize the opportunities available.” To access the report follow this link.